If you’ve got a low credit score, but are determined to buy a home (or are looking to refinance your existing mortgage), you may be wondering how to get a mortgage. Or if it’s even possible. First things first though – how low is your credit score? Are we talking a 660 credit score or a 500 credit score? Everyone seems to have a different definition of low, so let’s start there. Mortgage lenders rely on FICO scores to make credit decisions. The FICO score range dips as low as 300 and rises as high as 850. The average credit score is somewhere around the high 600s to low 700s at any given time. I say somewhere because there are always different numbers being cited by different sources, and the data is often outdated. It’s also a moving target that doesn’t stay constant, but average scores don’t stray too far from the high-600 to low-700 range. But to get back to my point, you need to assess how low your credit score is to determine your chances of getting approved for a mortgage. Regardless, there are plenty of home loan options for those of us with imperfect credit, or dare I say, bad credit. In fact, you technically only need a 500 credit score to get an FHA loan, which is actually a popular choice among homeowners these days for its equally low 3.5% down payment requirement. You don’t even have to be a first-time home buyer. And let’s get one thing straight, a 500 credit score is pretty abysmal. It’s bad credit, no ifs, ands, or buts. I’m not here to judge, but I’m going to give it to you straight. You don’t just wind up with a 500 credit score after racking up some credit card debt, or because you have student loans. It doesn’t happen by accident. So if your credit score is at or below 500, you’ve certainly made some serious financial missteps. And you may question why any mortgage lender in their right mind would offer you a home loan. Sure, they’re willing to accept some risk, but within reason. Anyway, if you thought 500 was low, consider the fact that the VA (home loans for veterans) doesn’t even have a minimum credit score requirement, so a VA loan lender could potentially go even lower. Of course, if they want to remain in good standing and continue to offer VA loans, they probably won’t. It’s basically lender discretion, and default rates will drive the minimum credit scores they actually deem acceptable for borrowers. That being said, while mortgage underwriting guidelines may say one thing, banks and lenders could well say something completely different. This is why borrowers with poor credit are often disappointed once they speak with a lender. You might technically fit the guidelines, but once a lender overlay is applied, you often can’t get financing. Is Your Credit Score Lower Than 620? One of the most important three-digit numbers in the mortgage world is 620. Why? Well, anything below a 620 credit score is considered “subprime” by most banks and home loan lenders, not to mention the ever-important Fannie Mae and Freddie Mac. That’s right, the minimum credit score to get approved for a mortgage loan by that important pair is 620. Anything lower and you’ll need to go back to the drawing board, or at least look for a loan backed by another entity. For the record, Fannie and Freddie back the lion’s share of mortgages, so a credit score lower than 620 already eliminates you from something like 70% of the mortgage market. Long story short, you should aim to have credit scores of at least 620 or higher to ensure all loan options are on the table. 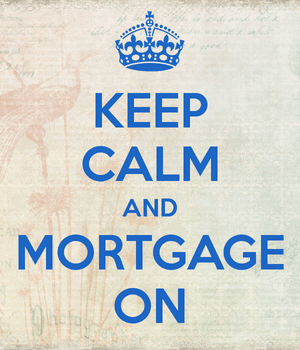 If not, there are still government loans available, including FHA, VA, and USDA loans. Speaking of the USDA, their loan program also features no minimum credit score requirement, but like VA loans, individual lenders will typically require reasonably high credit scores, such as 640 or better. As mentioned, the FHA accepts scores as low as 500, but keep in mind that if your credit score is below 580, you’ll need to bring in at least a 10% down payment. You won’t be able to take advantage of their flagship 3.5% down loan program, which requires a 580+ credit score. And let’s face it – most home buyers are going with the FHA for their low-down payment requirement. I’m not certain, but I doubt very many borrowers are putting 10% down on a house via the FHA. They’re not so much loans for bad credit as they are loans for home buyers with little set aside for down payment. Additionally, most mortgage lenders require even higher credit scores for FHA loans, based on their own risk appetite. So a 500 credit score might not actually cut it in the real world, even if the guidelines permit it. You may find that most FHA lenders want minimum credit scores of 600+, or even 640+, so finding a lender actually willing to lend to someone with bad credit can be trickier than it appears. Recently, a lender by the name of Carrington Mortgage Services began accepting FICO scores as low as 550 for FHA, USDA, and VA loans, though the associated pricing hit is pretty sizable. And they’re one of the only games in town. In other words, you’ll pay through the nose for the chance to get a mortgage, and you won’t have much if any negotiating power if they’re the only bank willing to lend to you. Meanwhile, credit scores of 660 and up are typically required for all other conventional mortgage loans, those not backed by a government agency. For jumbo mortgages, you might be looking at a minimum score of 680 or even 700, with a large down payment also a requirement. Or a max LTV ratio of 80%, meaning you’ll need a 20% down payment to buy real estate or refinance an existing mortgage. As noted, there are plenty of options to obtain a home loan if you have bad credit, assuming your credit is truly just bad and not terrible. Again, this definition can vary, but aiming for FICO scores of least 620 is a good start. If you can’t muster that and need to buy a home today, it might still be possible to get the job done. You may just have to pay a bit more for it, via higher-than-normal pricing adjustments that could drive your mortgage rate a lot higher. For example, if you are able to get an FHA loan or a VA loan with bad credit, your interest rate might be 6% instead of 4.5%. While it’s not the end of the world, it will equate to higher monthly mortgage payments. Aside from not wanting to shell out more for your mortgage each month, it could potentially complicate qualifying. For example, a higher mortgage payment will lead to a higher debt-to-income ratio (DTI), and that could knock you out of contention. Additionally, those with low credit scores may only be approved for a mortgage with compensating factors, such as a large amount of assets and/or a higher down payment. So if you have bad credit and you’re lacking assets, your chances of approval might be quite low. Conversely, if you have poor credit but plenty of money in the bank and a solid employment history, you might be able to squeak through. If you’ve got bad credit, it might be prudent to enlist a mortgage broker, one who can shop your (more difficult) loan scenario around with multiple banks and lenders to secure financing. Aside from hopefully finding a home for your loan, they might be able to negotiate lower loan rates and map out a plan for a future refinance once you clean things up. You can visit your local bank as well, but chances of getting approved for a mortgage with a low credit score are probably pretty slim. Most of the big banks are pretty vanilla, meaning they only accept borrowers with credit scores of 620 and up. And having to call bank after bank can be time consuming and frustrating to say the least. Note: Let me just point out that if for the odd reason you’re extremely rich, you could just buy your home with cash and avoid the mortgage route entirely. In this case, it wouldn’t matter if you had bad credit, or any credit whatsoever. When you’re paying cash for real estate, credit scores don’t factor in. Unfortunately, this will be a sliver of the population. The good news is you can always refinance your bad credit mortgage in the future if and when your credit improves. Let’s say you take out that high-rate 6% government home loan, then work on your credit and your scores rise from 600 to 680. All of a sudden you’ll have many more loan options, and plenty of lenders will actually be interested in working with you. Even if you existing mortgage isn’t very attractive, it doesn’t have to be permanent if you make strides in the credit score department. The presence of a mortgage that is paid on time can also help your credit scores, so simply paying it for a year or so could push your scores higher. If you make a conscious effort to improve your credit otherwise, you won’t be stuck with the mortgage for very long. Try to remember that as you go through the process – you might have found your forever home, but not your forever home loan, and that’s okay, especially if you don’t want to miss out. Buying a house with bad credit could just be a means to an end once you turn things around. And most folks don’t hold their mortgages longer than a decade anyway. Do you want a mortgage if your credit score is low? Aside from those who absolutely need to buy a home/refinance their mortgage, and those with no other place to turn, are you sure you want to apply for a mortgage if your credit score is in bad shape? Even if you do manage to get approved, your mortgage rate will probably be much higher as a result, and you’ll likely need to come in with a large down payment to offset the credit risk you present to lenders. You may be better off having someone else with good or excellent credit take out the loan instead, such as a spouse or parent. Or it may be in your best interest (literally) to wait until your credit score has improved before applying for a mortgage. I understand that you may not always have that luxury if there’s a house you just must have, but it’s something to consider if you’re more wishy-washy. In any case, it is recommended that you check your credit scores and corresponding credit reports long before applying for a mortgage to ensure you can actually qualify. Doing so in advance will also give you time to fix any mistakes that may show up on your credit report, as changes can take a lot of time. Keep in mind that while credit scoring is very important to successfully obtaining a mortgage, if not the most important factor, it is just one of the many underwriting criteria mortgage lenders consider. Things like income, assets, and employment history can also make or break you, regardless of whether you have perfect credit or not. No matter your scores, always take the time to compare mortgage lenders to ensure you don’t miss out on a better deal, or worse, miss out completely. See also: What credit score do I need to get a mortgage? I would really like to invest in a home and I was in a severe car accident, I do have some physical disabilities and am a beginner at all of this. I did get approved for SSD/SSI and I am currently living at my parents as they have been helping me through recent surgeries. My point here is that I do not know where to start or how to obtain any information on investing in general, but I do know I would like to get into a home and fix my credit. I know I have a lot of medical issues on my credit report as well as some bad decisions I made in the past with checks and banks, I have however, a bank account (checking and savings, and would like some advice…if you can help in any way I would appreciate it. I am a single mother and divorce, I was in a 2 family income and now it is just me. My house did not sell, so it went into foreclosure about 1 year ago. I am renting now and the cost is to much. How can I get into a home, with a mortgage about 1,200 to 1,400 a month. My credit scores goes from 589 to 620. I am trying to start all over again on my own, wit my 2 children. I have been working at my job for 27 years and not planning on leaving anytime soon. I am looking for a second job part time. Can you help me. I don’t make/offer loans, but reading around my site might help you better understand the home loan process. Your credit score could definitely use some improvement. Getting it above 620 should greatly expand your options and probably help you obtain a lower mortgage rate. Perhaps determining why your score is low and then taking steps to improve it would be a good move. Good luck. Hi Colin, I was wondering what I am up against in the spring. I plan on marketing my house in the spring to buy another one that is a bit smaller and more conducive commute wise. However, we did have a loan modification back in 2013. Is it true that you need so many payments made to the lender before you’re eligible to apply for another? My credit is somewhere in the “mid 6’s”. My job is stable, and my income has actually increased by about five dollars an hour more than when I bought this house. Is there anything that I can “expect”, and is there a certain number of payments that I have to make before I’m eligible for a new loan? I’m only asking this, because The lender that got me into this house told me that. But I never got a second opinion. Is this true? I will also have equity in this home, when I do sell. Thanks and advance, I enjoyed/found your article interesting. Actually to correct the dates, we resumed making payments with the new loan modification in the spring of 2013. The mortgage company had taken several months, as you probably already know, to get the ball finally rolling. There might be a 24-month period to make payments on the loan mod…check your paperwork and/or ask those you worked with to be sure so there aren’t any hiccups. You’ll likely get a pre-approval before shopping for house so you’ll know better what your up against. If you make the new home purchase contingent on the sale of the old home it’ll probably make things more difficult because sellers would favor someone who doesn’t need to sell before buying. Additionally, your credit might not be seen in a positive light if other potential buyers have 700 scores. Ultimately you want to limit the uncertainties as best you can to get your offer accepted (and offer more than others if you’re willing to). Good luck. i would like to purchase a $190K home with $150K down payment–my credit score has taken a hit (601) due to elder care for mother with alzheimers–i have repaired my credit to date diligently—is it possible to qualify for the $40K mortgage?? and, what do you suggest? thank you! It’s possible, but you may want to improve your credit score first. Aiming for 620+ is a good near-term goal to widen your loan options. Also note that getting a mortgage as small as $40k could present some issues. Most lenders want to make bigger loans. I will be inheriting the family home of which my husband and I along with our two kids moved into 18 years ago to help my mom from being alone and now being elderly. Being that she is now 93 and her health understandably is declining, I am looking at the future with having to pay back my siblings their portion of the home once all is said and done. At this time, we anticipate it to be around 525,000 that I will need to seek in getting a loan. I have been at my current job for a year. My husband has been in his main job for over 15 years. Our credit is not great. Mine is around 620. Our income is estimated at 106,000 annually. Do you foresee a problem in getting a loan? Our tax/finance person wants me to wait until it is in my name before we go out and get a loan. I am extremely nervous and my family does not want me to be in a bad financial position. You may first want to consult with some brokers to see what you qualify for, and if it makes more sense to qualify with just your husband on the loan if he has better credit than you and can still qualify. Whether it’s a good idea for you to take on the house on your own and a big loan to boot is another question. That might be a tough one – probably better off fixing your credit first and then applying when you have decent loan/lender options. Hey we are looking to buy a home, we have a cosigner with i credit score in the high 700s. my wife and mine are in the mid 500s. Is it possible for us to get a loan? Possibly, but you may want to work on your credit first to expand your options and improve your chances of approval. The co-signer won’t change the fact that your credit is in the 500s, they would just add to your income/assets, etc. Good afternoon. I have a question and if someone could help me I’d be very appreciative. I have a credit score of a 552 😥 But the contributing factors that are killing me are bologna. Every week my child support comes out of my pay check and it is received at child support office when it should , so the first day of the month it’s logged in and it shows that it is payed on the first and then every month on the 16th they report it as late? It keeps my score down besides the fact that I have a $25 collection account that I’m scared to pay because it’s from 2013 and if I pay it will it stay on my credit somehow. I have one hard inquiry and that’s it. I have been at my place of employment for over a year, make great money and have no other debt besides my child support. Will he be hard for me to get a $89,000 mortgage I just don’t want to embarrass myself. Thank you in advance. Paid collections shouldn’t stay on your credit report any longer than unpaid ones, per the credit bureaus. May also want to look into disputing it to get it removed entirely, that generally boosts scores a lot. As for the late payments for child support, you could inquire about why they’re reporting it as late, and if it’s an error, also dispute those and get them removed. If everything gets removed your scores could be significantly higher. It sounds like there were some big issues with his credit that might be resolved now…but as you indicated, it takes time for changes to reflect in credit scores. And it’s really hard to say how quickly things will change because everyone has a unique credit history. But it’s quite possible he could see a jump to 600+ if all goes right…and there are options like FHA for lower scores. May want to use a free service like Credit Karma to monitor progress in the meantime. Good luck! Hello my name is Christine i want to buy a home in pa, my credit score is 460 my husband lost his job, i work my income is 2000 a month can u help? That might be tough with a score that low…the lowest I’ve seen approved has been in the 500s. It might make sense to work on your credit first, which would expand your loan options and ideally lower your mortgage rate. My credit score is 585, my husbands is 790. We are looking at a $350,000 house with a down payment of $135,000. Would we qualify for a mortgage? Might want to look at just him on the mortgage if you can still qualify without your income because your low credit score will probably make it a lot more difficult. Plus a higher score can equate to a better rate. If you can get your scores above 620, there should be plenty of mortgage options available, it’s just that the interest rate can be a bit higher to compensate for the risk. Of course, you can always secure a mortgage, then refinance to a lower rate once your credit scores improve, assuming rates don’t head much higher during that time. Myself and my Fiancé are currently working to raise our credit scores ( high 400-500), but we both have new jobs. (me-8 months, him- 5 months.) we are trying to save up $5k as a down payment, but I am worried we will still not be approved and we cannot take any more time- we are working with a 6-7(max) time limit. Any advice at all would be extremely helpful! It sounds like you’ve got two things working against you – very low credit scores and short employment history. Together, it might be difficult to get approved for a mortgage, though it depends why your employment history is short and also if the new jobs are in the same field as prior jobs. As far as your credit scores go, same thing. Why are they so low? Can they be improved in a short period of time? If so, you might be in luck, but there are a lot of unanswered questions here. You may want to speak with a lender or broker to see if you can get pre-qualified or at least get a better idea of your approval odds once you make some strides in the right direction. Good luck! There might be some lenders willing to go that low, but getting all 3 scores above at least 550 will likely open a lot more doors. So you may want to see why your scores are low and determine what you do relatively quickly to at least get them another notch higher. Good luck! The older collections are probably already being reflected in your low credit scores, which can make it more difficult to get a mortgage and/or increase your mortgage rate. Not sure if they’ll deny you because of them, especially since they seemed to have occurred prior to the loan mod. May want to speak with some mortgage brokers and some banks to see who can offer what and shop around as you normally would. That way you’ll be able to see if anyone has an issue with the previous modification and outstanding collections while also gathering different quotes. My husband and I are looking to purchase our first home. The purchase price of the home is 190k and we have a $20k down payment. We have a combined income of $80k a year. His credit score is a 640 and mine is 585. What do you think are our chances of getting a loan for this house? My mother would be willing to cosign with us and has a credit score of 720. Would that even be helpful? Adding your mother would likely only be helpful if you need more income to qualify. One possible scenario would be removing yourself and your 585 credit score from the loan, and having just your husband and mom on the loan (if you need that additional income) to remove your low score from the equation. There are many scenarios but essentially you try to eliminate as much bad stuff as possible using different applicants to your advantage. I’m not very familiar with the FSA program or its minimum credit score requirement, if applicable. But I would assume like everything else, a better credit score will help expand your options and ideally lower the interest rate as well. Good luck. That’s a toughie; there might be a lender out there, but the interest rates will probably be pretty high as a result of that really low score. Could make sense to improve scores then buy.